The Isle of Man has voted for fresh blood in its next House of Keys in a major shake-up of the Manx political scene. Fifty per cent of the new chamber has no previous experience in national politics, after a raft of senior figures stood down at the general election - and others were ousted. Women's representation in Tywnald has grown as five female politicians prepare to join the new House. There were shocks in Arbory, Castletown and Malew and Douglas North as Infrastructure chief Phil Gawne and vocal backbencher John Houghton were shunned by voters. Established members Leonard Singer and David Quirk are among five casualties as the old guard gave way to a new generation. 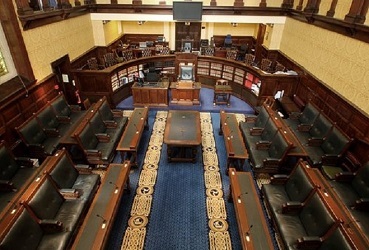 Much of the talk in the build-up to the election was about disillusionment in Tynwald and how Manx politicians were out of touch with the people. The outcome? The electorate has voted overwhelmingly for change. Other senior figures such as Graham Cregeen, Howard Quayle and Chris Robertshaw are back but didn't top the polls in their respective constituencies. Three out of the twelve constituencies have returned representatives with no previous Keys experience - and there's also a chamber more reflective of our society. Clare Bettison, Daphne Caine, Ann Corlett and Julie Edge increase the number of women in the chamber. Those calling for party politics now also have a louder voice - as Lib Van boasts three seats in the Keys. It signals the dismantling of the old guard - and serves as a wake-up call to the established order.